Every industry encounters cash flow problems at some level. The high costs of operating a business can discourage entrepreneurs and lead to many companies declaring bankruptcy before they get off the ground. If your operation needs help buying supplies to complete a customer order, purchase-order (PO) financing may be a solution. This kind of funding has limitations, however, and may not be the best option. In many situations, accounts receivable funding is a better alternative. PO financing is when one company pays the supplier of another company for goods to fulfill a job for a customer. This is an advance that can cover a large portion or even the entire amount of the supplies needed to finish a project. It allows a company to continue offering its goods to customers without interruption—saving the business from having to turn down an order due to lack of cash. Until you deliver the goods or services you promise to a customer, an accounts receivable situation doesn’t exist. When you choose PO financing, you can complete your customer’s order and create an accounts receivable situation. Then you can switch to accounts receivable factoring if you need fast cash to continue the operation. It’s important to realize that if you provide a service and not a product, PO financing isn’t likely an option. Businesses can only use PO financing to pay for the production of a tangible product. PO financing may allow you to pay for 100% of your production cost, but there’s a catch: You can only use the funds for this purpose. You can’t use funds you receive from PO financing to cover payroll, daily operations, or other expenses. If your business needs money for more than just completing an order, PO financing may not be the choice for you. Most PO financing companies have a minimum gross profit margin requirement of 20% to agree to finance your project. If your business’ profit margins are less than 20%, you must first use invoice factoring to generate greater working capital. Once you reach 20%, PO financing will become an option. If your supplier doesn’t require payment in full, you may have enough time to deliver your product to a customer, factor your accounts receivable, and pay off your supplier without having to pay the higher costs of PO financing. PO financiers charge fees for their services, taking what you owe them directly out of your end customer’s invoice. Requirements for PO financing can differ based on the company, but most require the client creating the purchase order to be creditworthy. Companies may also require the client be a commercial or a government entity. What Is the Method of Choice for Small Businesses? PO financing typically has a minimum of $50,000 for standalone purchase orders, while most factoring companies will agree to purchase accounts receivable from companies that meet at least $5,000 to $10,000 monthly in factored invoices. This leads many small businesses to choose factoring over PO financing. Factoring advances a large percentage of your invoice amount to you immediately, with no limits restricting how you spend the money. If you need money for business expenses other than product manufacture or delivery, choose factoring instead of PO financing. Neither PO financing nor factoring is a loan. Thus, neither incurs any debt or interest payments. They’re both relatively easy to qualify for and don’t necessarily require your business to have good credit. If your small business needs cash flow solutions, either option can help. Review the pros and cons of each type before making your decision, and keep in mind your company’s specific needs. Factoring your accounts receivable may be the perfect solution if you need immediate cash. 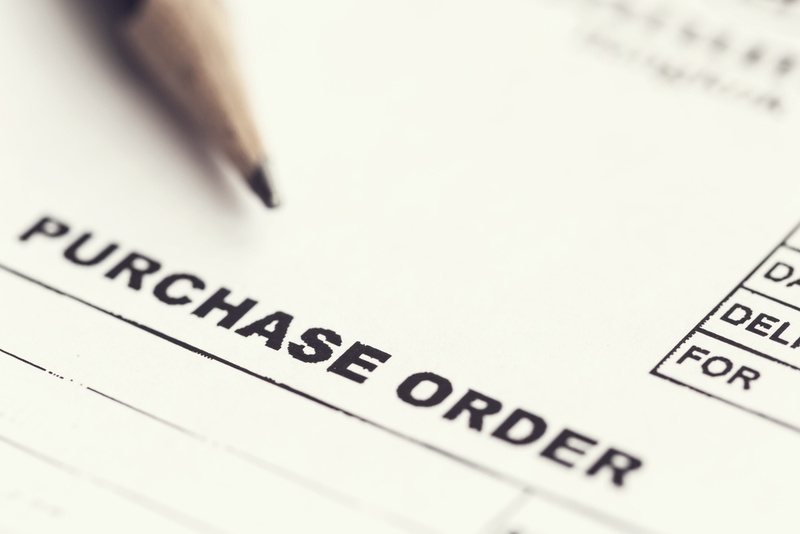 If your company would benefit more from completing a customer order, choose PO financing.